Fox Pest Control provides pest control in Commack and the surrounding areas. We take pride in providing exceptional customer service, and take to heart the feedback we hear from each and every one of our customers. 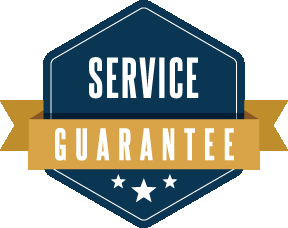 Below you’ll find our reviews, testimonials, and feedback from the home owners and businesses in Commack we’ve serviced. If you need a Commack exterminator, contact us today! John was very professional and understanding. Danny did a very thorough job and took his time to fully understand our pest problem and addressed all areas of concern professionally. Very good service. Fast and friendly. I have had many bad experiences with exterminators before. All they wanted to do was cash my check and do a quick service and get out. So glad I found FOX. From the politeness of the first phone call to the service I knew I had a company that is truly concerned about doing the right job and getting rid of the problem. The first time I had a problem with bees entering the house and had a party the following day. They came there and found the nest and took care of that. We had a worry free night and party the next day. Today Danny came to my house for an ant problem. He not only laid bait down for the ants but found a much bigger problem while he was there and we had no idea about. He took care of that also. Everyone they have sent to my house has gone above and beyond my expectations. I highly recommend this company over any exterminating company. Technician was courteous and did a good job. The techs are thorough and concerned. The technicians where very professional and knowledgeable. Always professional and great service. John was extremely helpful and understanding. Great Company! The gentleman that has been providing the service is a true professional. Danny showed up and did a thorough inspection and sprayed the entire area and provided a report of what had already been done previously and what he did today. I am happy with the service and the professional technicians. The company is very professional and did exactly what they said they would do. I wish they would remind me with a text when they were coming back. I missed them last visit.